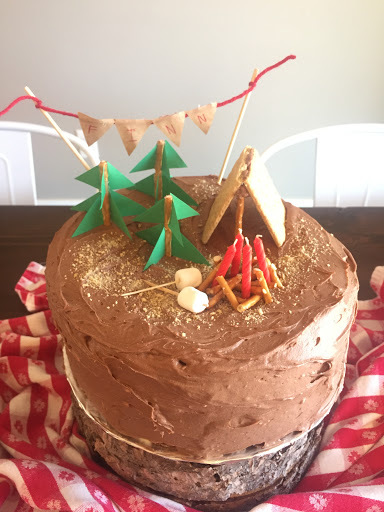 Finn asked for a camping party to celebrate his fourth birthday. 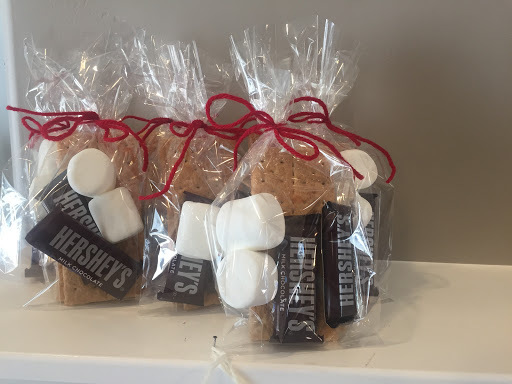 He had a small list of friends and all his grandmas, grandpas, and aunts that he wanted to invite. 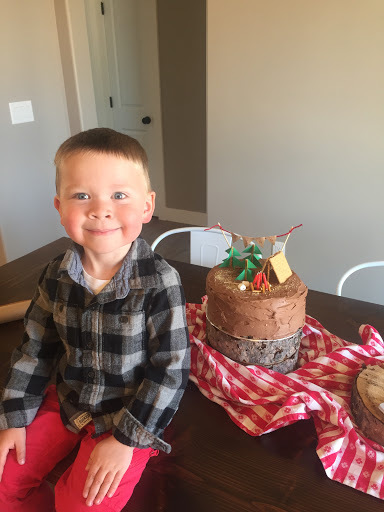 Even though we weren't in the woods like he had imagined it turned out great and he had fun. 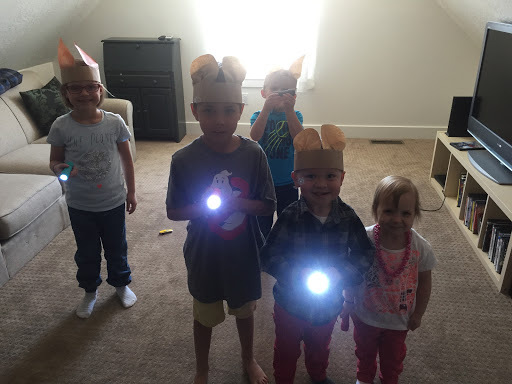 The kids made woodland animal headbands and played hide and seek with heir flashlights. 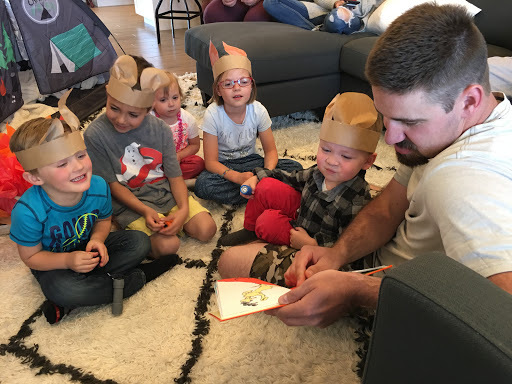 Then Daddy read a couple stories around the "campfire". Happy birthday to my sweet boy!